SportHill's 3SP fabric is truly amazing. Linda and I bought their pants and tops last winter after some friends recommended it. We find that it's usually all we need to wear below 40 degrees down to the mid teens. We use it both for cross country skiing and for winter cycling. And the best feature is that when we've just climbed that big hill and a couple of friends have stopped to re-wax their skis and we're standing there in the wind, we don't freeze! This stuff is comfortable when you're working hard, and when you're just standing around. I don't know how it works, but it does. We spent a long day skiing at Craftsbury in heavy wet falling snow. After an hour or so we were completely soaked, but also perfectly comfortable for the entire day. 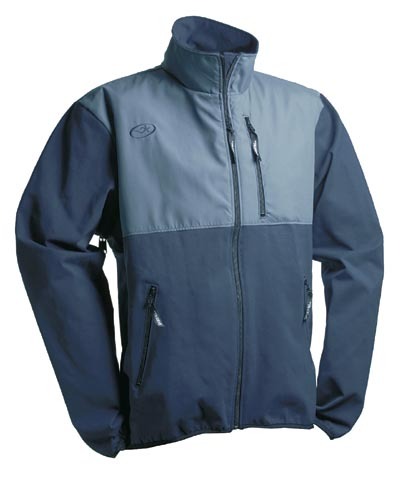 This is the Men's HooDoo jacket. The material is all 3SP with an extra layer of water resistant polyester (they call it Micromattique) across the chest and shoulders. The Micromattique gives some water repellancy and extra wind protection. This jacket is terrific when it's really cold and windy. It has a full length zipper, zippered side pockets, a zippered chest pocket and pit zips. We had several days with 5 degree high temps in Quebec last winter and a lot of wind at Mont Sainte Anne. 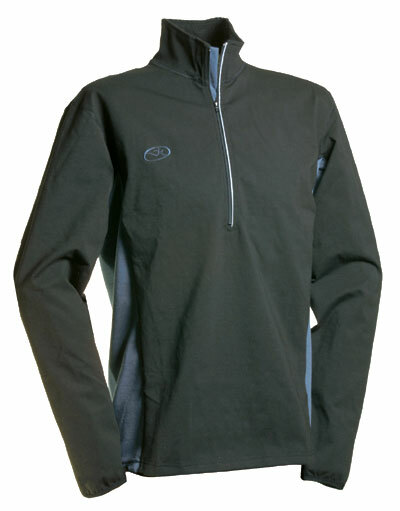 I wore the HooDoo jacket over a Smartwool ZipT jersey and was comfy all day. This is the men's Discovery Top. 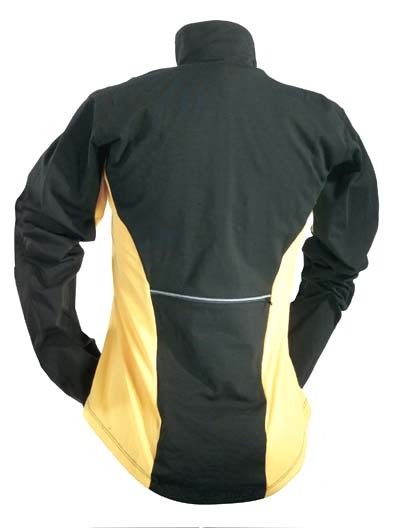 It has 3SP in front and in back, with a light stretchy material, (they call it Power Dry) on the sides. There's one zippered pocket in back, great for XC ski wax or a spare tube and lunch. Also, if you spill in deep snow, you won't lose your wallet. ;-). The arms are cut long for cycling, and the back is a bit longer than the front so it doesn't ride up when you're in a tuck. There's a reflective strip at both zippers. The Women's Discovery Top. Same features as the men's version, just cut for a woman. Shown here in Black and Daisy. 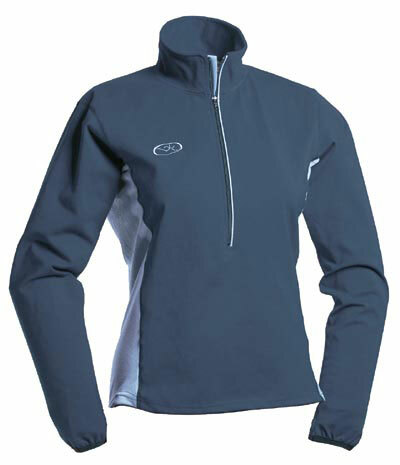 This shows the rear zippered pocket on the Discovery Top. This is the men's Pursuit Top. It's intended for winter cycling but also works well for cross country skiing. There are three pockets in back without zippers. The sleeves are long for getting down in the drops. 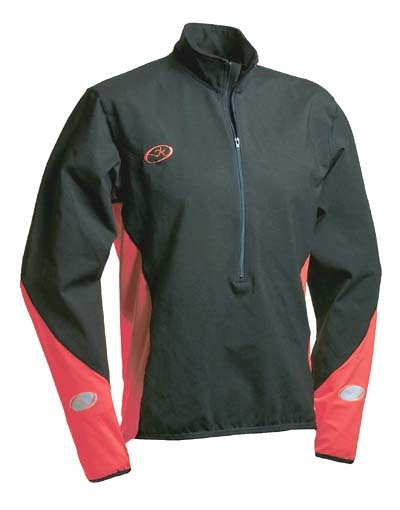 3SP fabric in front, over the shoulders and most of the sleeves is wind proof to 35mph. 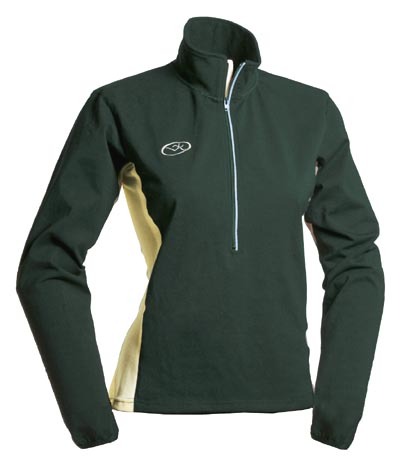 Wear it alone to below freezing, and perhaps add a Smartwool jersey underneath for extreme conditions. This is the product SportHill is probably best known for. The XC Pant. It's all 3SP, so it breathes, stretches with you and is wind proof to 35mph. It has two side zippered pockets and 12" zippers at the bottom of each leg. Unless the temperature is in the single digits, you will probably not need anything under these to stay warm and dry. Black only. We now have the Women's XC Pant. Same features and price as the men's. Also available, Women's XC Cross Pant. 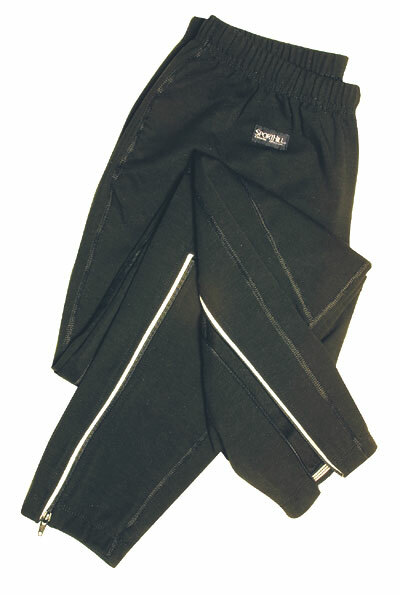 Looks the same as the XC Pant, but has no pockets or leg zippers to keep the cost down. Men's Pursuit Tights: Small, Medium, Medium Long, Large, Large Long, Extra Large. If you're cycling in winter, see my Studded Tires page.